As the development of modern industry, the electricity is become amazingly useful, but it also become amazingly dangerous too! Do you know that it takes only few milliseconds for a strong electric current flowing through your heart to harm you ?Think about this, if you’re using an electric cutter and you accidentally chop through the cable, If the tool has a metal case, you’re holding on to it, or you’re repairing the circuit and you accidentally touch the peeled wire, and you’re standing on the ground, the electricity has to go somewhere. there’s a very high risk that your body will form a “short circuit”—the path of least resistance for the current to flow through. It takes just the blink of an eye for a current that’s doing you a favor to change its mind, zap through your body. So how to prevent electricity to through our body? One way to reduce the risk is to use a clever protective device called a residual current device (RCD), or residual current circuit breaker (RCCB), is a device that instantly breaks an electric circuit to prevent serious harm from an ongoing electric shock. 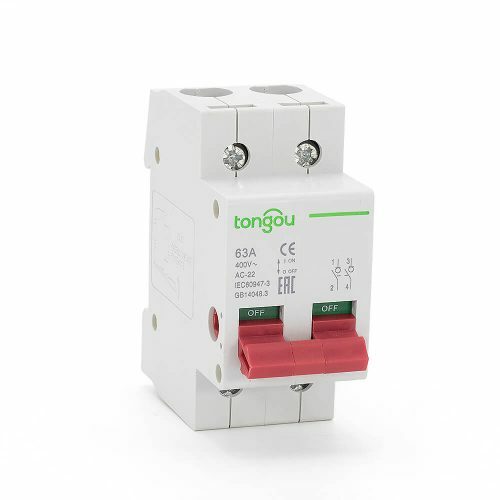 In the Europe these are better known by their initials RCD, and a combined RCD+MCB (miniature circuit breaker) is known as a RCBO (residual-current circuit breaker with overcurrent protection). In the America, the device is more commonly known as a ground fault circuit interrupter (GFCI), ground fault interrupter (GFI) or an appliance leakage current interrupter (ALCI). In Australia, they are sometimes known as safety switches or an RCD. An earth leakage circuit breaker (ELCB) may be a residual current device, although an older type of voltage operated earth leakage circuit breaker also exists. The Figures vary from year to year for different country, but the global statistics reveal that electrocution is one of the top five causes of death at work. It’s a lot of electric shock accidents at home, and electrical accidents cause several hundred deaths and several thousand injuries each year in the one country alone. How and why do people get electric shock? Essentially, as they accidentally touch leakage current equipment or as an electrical appliance fails in such a way that its exposed metal parts temporarily become energized conductor and dangerous. Many electrical appliances have fuses to protect against excessive currents, but it don’t any helps in this leakage current situation. Some appliances also have “earth” or “ground” cables to protect us when live cables touch things they shouldn’t. The “earth” or “ground” isn’t part of the normal power carrying circuit, it’s just a spare cable, attached to the exposed metal parts of an appliance, connected eventually to the earth through your household wiring, then through a metal spike or water pipe that enters the ground outside your home. The basic idea is that if the live cable fails and touches something like the metal outer case of a toaster, distribution metal box, the ground cable carries the current safely away. But what if the earth/ground cable fails as well? The circuit will through your body, how to protect against electric shock? That’s where RCD, GFCI, ELCB come to our rescue. The image depicts the internal mechanism of a residual current device (RCD). The RCD consists of five parts，there are Magnetic relay (1), Mechanism (2), Incoming line terminals (3), Loading terminals (4) and Sense coil (5). The live wire connects incoming line terminal (1), and plug to power to your electrical appliances from loading terminals (4), to turn on the handle of mechanism (2), to make connection copper contact parts of Incoming line terminals (3) and Sense coil (5). The sense coil is a differential current transformer which surrounds (but is not electrically connected to) the live and neutral conductors. In normal operation, all the current down the live conductor returns up the neutral conductor. The currents in the two conductors are therefore equal and opposite and cancel each other out. Any fault to earth (for example caused by a person touching a live component in the attached appliance) causes some of the current to take a different return path, which means that there is an imbalance (difference) in the current in the two conductors (single-phase case), or more generally, a nonzero sum of currents from among various conductors (for example, three phase conductors and one neutral conductor).This difference causes a current in the sense coil (5), which is picked up by the magnetic relay (1), The sense circuitry then removes power from the mechanism (2), and the contacts of Incoming line terminals (3) are forced apart by a spring, cutting off the electricity supply to the appliance. The RCD is designed so that the current is interrupted in milliseconds, greatly reducing the chances of a dangerous electric shock being received. Do you need to buy an RCD/ELCB/GFCI? In our modern household consumer unit (switchboards), like the image as below, have built in RCDs on some (but not all) of the household circuits. That means if you accidentally cut through a cable or get it wet, the trip switch on the consumer unit will interrupt the power and save your life, doing the same job as a plug-in RCD. It’s vitally important to understand how your consumer unit is set up. In this box, for example, only the upstairs power outlets have RCD protection. So if you’re using a upstairs plug to power your toaster , you’re protected. However, if you were using power tools plugged into an downstairs outlet, you’d need to use a plug-in RCD to protect yourself because the upstairs circuits don’t have RCDs fitted. The electrical engineer Charles Dalziel (1904–1986) from US, who was a professor of electrical engineering and computer sciences at UC Berkeley. He saved countless lives when he came up with the brilliant idea of the ground-fault circuit interrupter around 1960. He began patenting the idea in January 1961 (in application number 85,364) and was finally granted a patent in October 1965. Among the benefits of the invention that Dalziel listed were high enough current sensitivity to protect people against electrocution, low operating current and energy consumption.